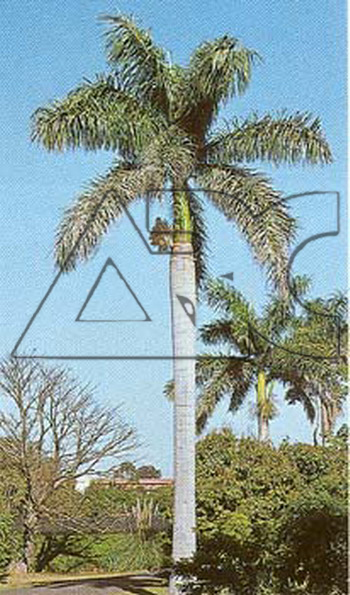 This widely cultivated palm is native to Cuba and is regarded by many growers as the most outstanding Roystonea species. A regal, solitary trunk palm, It has a large crown of finely divided feathery fronds. It is a robust grower with a whitish trunk that has a distinctive bulge.